Carbon Hill (population 392) is a village in Felix Township, Grundy County . It is located just a mile northwest of the larger town of Coal City . The main road into town is Carbon Hill Road, running north from Illinois Route 113, just west of Coal City. Carbon Hill was founded in 1874 as a coal mining town. There were four mines at or near the village, the last of which closed in 1912. During the mining years, Carbon Hill’s population rose to as many as 1800 people, with the Big Four Coal Company employing around 800 men. In 1913, a year after the last mine closed, a major fire destroyed many of the business buildings in the east part of the village. Carbon Hill’s population declined after this time. Carbon Hill had a high school (most likely a 2-year program) for several years, probably ending before 1920. Classes were held in the 4-room wooden school building built in 1893. This two-story building later had the top floor removed, after the high school classes were dropped and enrollment declined. The one-story building was used as a school until 1955, then became a personal residence. In 1992, the building was obtained by the Carbon Hill Historical Society, which now maintains it as a museum. 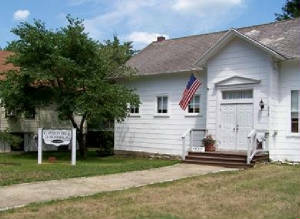 To view the Carbon Hill Historical Society webpage please click on the following link: http://www.ccpld.org/museum.htm . 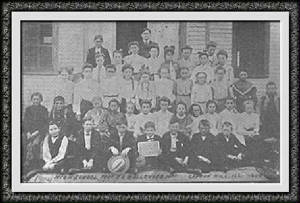 "Carbon Hill School opened in 1893 and stayed open through 1954 although high school classes there stopped in 1917 because Coal City formed a high school district. 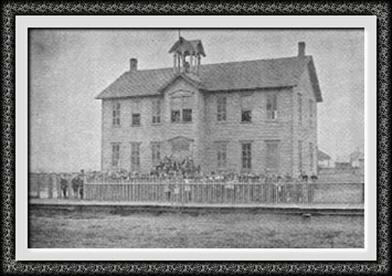 Students before that time studied for their high school exams at Carbon Hill School under the direction of the principal but High School exams and diploma programs took place at the county seat in Morris, Illinois. There was a boy’s soccer club at this school. School picnics were at White Tie Park. There was a town band but not a school band. There were many newspaper articles about Carbon Hill regarding early soccer in old Chicago papers.. We were famous Carbon Hill OKs then combined with Coal City as the Coal City Maroons. These are not school teams but town teams sponsored by the coal mining companies of our towns." Carbon Hill students today attend Coal City schools. Though open but a few short years, it is possible that Carbon Hill High School competed in basketball against other schools. Sports such as baseball and track may have been offered as well. Clubs, plays, picnics, chorus, and band may also have been offered. If you have this information please forward it to us for inclusion on this page. Special gratitude goes out to Gerry Halpin for the writing of this page and the research he put into it.